Relax Gaming is one of the leading software development companies that focus on online casino content. They have a long and rich portfolio, offering dozens of interesting slot titles that instantly capture players’ attention with their generous wins and sophisticated design. One of their latest titles is called King of Kings, and it is a slot set in Ancient Egypt. There are many online slots inspired by this ancient kingdom, but King of Kings takes on an entirely unique approach which focuses on pharaoh as the central character. 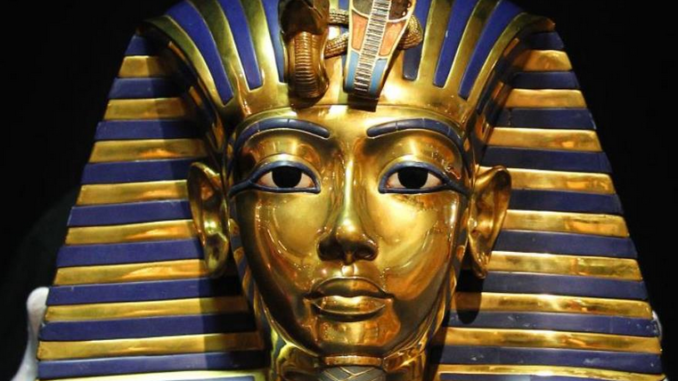 The pharaoh was himself the King of Kings, and if you are lucky enough, he can bring a lot of hidden treasures to you. All you have to do is spin the reels and travel back in time to the River Nile Delta in order to seek hidden treasures of the old days. The title features an unusual 3×5 reel grid that includes some really interesting and powerful symbols such as Egyptian gods, jewels, and the pharaoh himself. The game also has a couple of interesting special feature which can increase the excitement as well as the prizes that you can get. One of the main features is called Jackpot Stars, which is triggered randomly during the base game. When activated, you will have an opportunity to place an additional side wager and win 12,500x worth of your bet if you are lucky enough. Relax Gaming even issued an official press release for King of Kings which features Simon Hammon talking about the game. Hammon is the CPO for Relax Gaming, and he stated that the portfolio of his firm was firmly grounded in ‘expertly modeled mathematics and core gameplay.’ Furthermore, he added King of Kings was an exciting new game with an unusual format that enriched their portfolio, and that is based on the philosophy of the company. Furthermore, Hammon commented on the special features that are present in the game, stating that there is a mode that awards free spins and even unlocks an additional reel which paves the way for more combinations and better cash prizes during the bonus game. He also stated that the Jackpot Stars feature added ‘an extra layer of chance’ that would be beneficial for players who were definitely going to come back to the game. Relax Gaming has been pretty busy lately working on a couple of projects and extending their professional reach by signing content deals all over the world. One of their latest partnerships is with Videoslots, which is one of the biggest online casino brands in the world right now. In other words, users who are members of Videoslots will have an opportunity to play some of the latest games made by Relax Gaming, including Zombie Circus, Epic Joker, and Temple Tumble. If you are not familiar with their works, make sure to check out some of their newest games and win big prizes in the process if you are lucky!